Brandi Cochran, 41, said she was rejected when she tried to return to work in early 2010 after taking maternity leave. The producers of "The Price is Right" owe a former model on the show more than $7.7 million in punitive damages for discriminating against her after a pregnancy, a jury determined Wednesday. The judgment came one day after the panel determined the game show's producers discriminated against Brandi Cochran. They awarded her nearly $777,000 in actual damages. Cochran, 41, said she was rejected when she tried to return to work in early 2010 after taking maternity leave. The jury agreed and determined that FremantleMedia North America and The Price is Right Productions owed her more than $8.5 million in all. "I'm humbled. I'm shocked," Cochran said after the jury announced its verdict. "I'm happy that justice was served today not only for women in the entertainment industry, but women in the workplace." FremantleMedia said it was standing by its previous statement, which said it expected to be "fully vindicated" after an appeal. "We believe the verdict in this case was the result of a flawed process in which the court, among other things, refused to allow the jury to hear and consider that 40 percent of our models have been pregnant," and further "important" evidence, FremantleMedia said. In their defense, producers said they were satisfied with the five models working on the show at the time Cochran sought to return. Several other former models have sued the series and its longtime host, Bob Barker, who retired in 2007. Most of the cases involving "Barker's Beauties" — the nickname given the gown-wearing women who presented prizes to contestants — ended with out-of-court settlements. 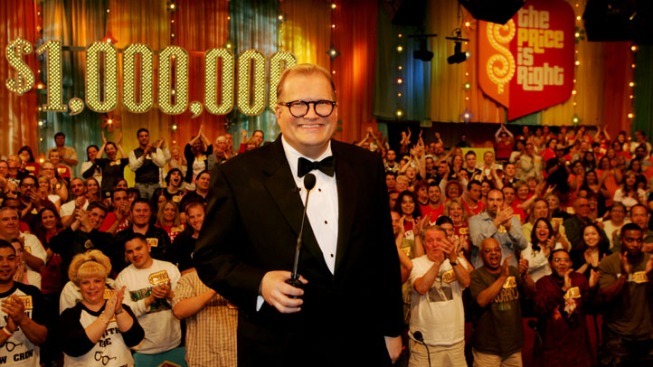 Comedian-actor Drew Carey followed Barker as the show's host.